Trump already analyzing how to quickly withdraw from global climate deal. 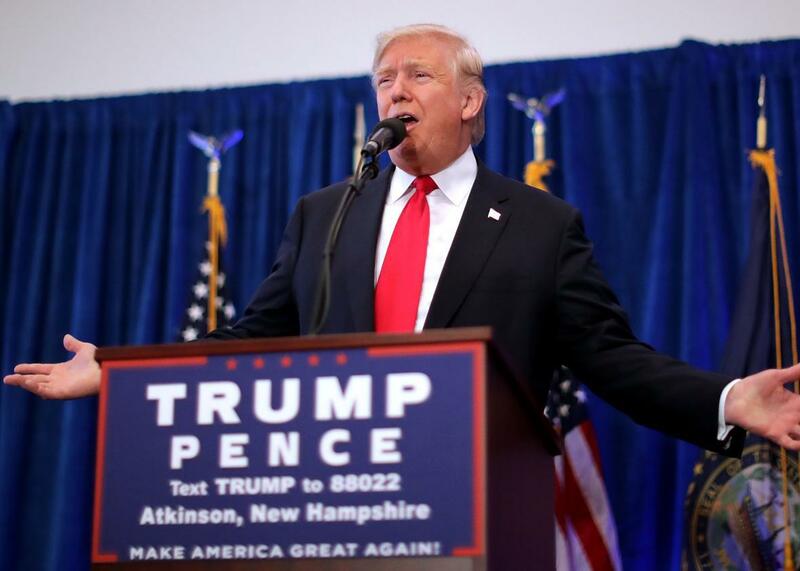 Donald Trump holds a campaign rally at the Atkinson Country Club on Nov. 4 in Atkinson, New Hampshire. Donald Trump isn’t wasting any time and is already analyzing numerous options to withdraw from the 2015 Paris Agreement to limit climate change, a source on the president-elect’s transition team tells Reuters. Trump has long said he believes climate change is a hoax and now wants to try to figure out how the United States can get out of its commitments without having to endure the theoretical four-year procedure to dump the global agreement. “Alternatives were to send a letter withdrawing from a 1992 Convention that is the parent treaty of the Paris Agreement, voiding U.S. involvement in both in a year’s time, or to issue a presidential order simply deleting the U.S. signature from the Paris accord,” details Reuters. The agreement won enough backing on Nov. 4 to enter into force and has now been formally ratified by 109 nations representing 76 percent of global greenhouse gas emissions. The United States accounts for 18 percent of global emissions. Word that Trump is looking for a fast track out of the Paris deal comes only days after word that climate skeptic Myron Ebell is his pick to lead the Environmental Protection Agency. “It’s impossible to estimate just how much harm Trump could singlehandedly inflict on the earth’s atmosphere and its future inhabitants, given likely Republican control of Congress and, soon, the judiciary,” wrote Slate’s Will Oremus earlier this week. “At this point, we can only hope that, as with so much else he said during the campaign, his rhetoric on climate change turns out to have been mostly hot air.” So far at least, it doesn’t seem that way.